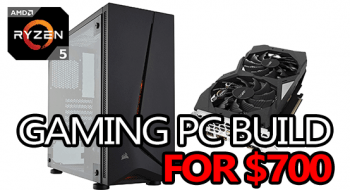 Building a gaming PC in Canada can be rough. The parts are expensive, and your only real option is ordering online in most cases. With that in mind, I’ve put together a “budget” build that any Canadian can easily order up without breaking the bank. The build I put together comes with a Skylake-based Pentium G4400 processor, a GTX 750ti graphics card, 8GB of DDR4 RAM and 1TB of storage. It’ll get you into mid-level gaming (outperforming your Xbox One or PS4) and last for a long time before needing any upgrades. With upgrades in mind, there’s a lot of room to grow with this build. If you’re looking for something that you can grab now and upgrade later, then this is definitely a good way to go. Supports long graphics cards (355mm) and water cooling + front USB 3.0. LGA 1151, mATX, built-in ethernet & audio. Comes with 2 SATA cables. 3.3GHz dual core. LGA 1151. “Skylake”. 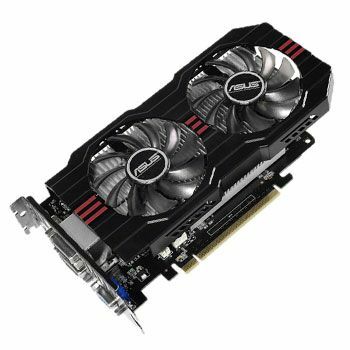 2GB GDDR5 VRAM, 4 display outputs, best budget card. 500W, 80%+ efficiency, tier 3, 3-year warranty. 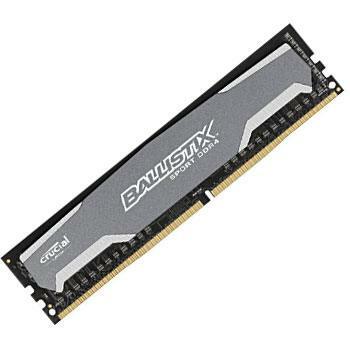 DDR4, 2400MHz, CL16, single stick. Something else you might want for your build is a CD/DVD drive. Some components will come with discs to install drivers, and having a CD/DVD drive will really help. Not only that, but when it comes to installing a copy of Windows, it’s way easier to do it from the original disc. You really don’t need anything fancy, and this Samsung CD/DVD drive will work perfect! I’ll cover this more in-depth below, but don’t forget that you will also need an operating system, a monitor, a mouse, a keyboard, and some kind of audio (speakers, headset, whatever works). 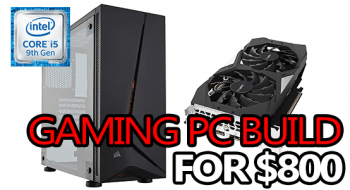 Like I mentioned during the intro, building a budget-level gaming PC with Canadian dollars is tough. But, that doesn’t mean that I wasn’t able to put together an epic build for you to edit as you please. As always, my pick for the case is subjective. 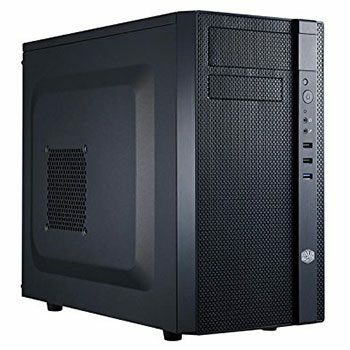 There are lots of other cases out there that would work great, but the Cooler Master N200 is a very good case with a small profile and it’s priced really well in Canada, eh. It’ll support a lot of different cooling profiles and offers great airflow, cable management options & lots of room. If there’s a specific case you wanted to use but you’re not sure if it will work, feel free to ask me in the comment section. To keep up with the tech, this build is using a 6th-gen Pentium G4400 processor. It’s not the best, but it’s certainly not the worst either. Starting with this processor means you can easily upgrade to a higher-end Skylake-based (LGA 1151) i5 when it’s in your budget to do so. 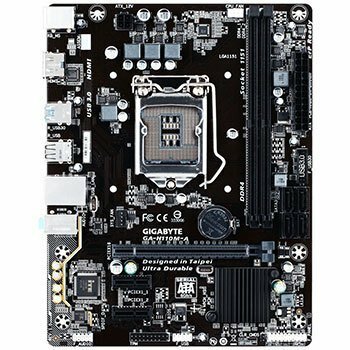 The motherboard is really basic, but it’s still going to give you a worthwhile experience in terms of supporting various upgrades, etc. It comes with built-in audio and ethernet, so you won’t need any auxiliary sound cards or ethernet cards. But, with that said, it does not support WiFi and if you want to run a wireless connection you will need an adapter for that. The GTX 750ti is definitely an aged piece of tech – but it’s still relevant and quite powerful when compared to today’s standards. It’s able to exchange blows with a GTX 950 for considerably less money – especially in Canada. It brings 2GB of GDDR5 VRAM to the table which is plenty to handle most AAA titles fairly well. Oh, and it only draws like 60W of power, which is basically nothing. 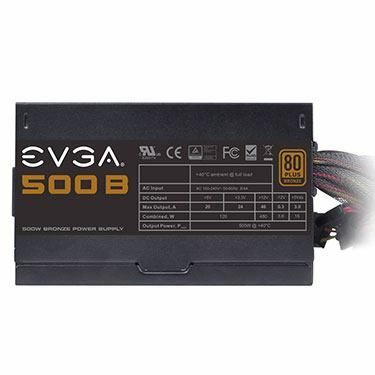 500W from an EVGA B1 power supply is going to give you way more power than you’ll actually need for this build – but it will allow you to upgrade to a bigger / stronger graphics card and processor without also having to replace your PSU at the same time. Plus, your power supply is the absolute last thing you want to skimp on. 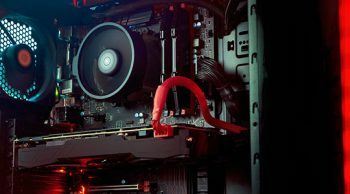 8GB of RAM is pretty much perfect for a budget-level gaming PC, and you won’t need any more than that to enjoy your experience. That said, I picked a single 8GB stick of RAM for 2 reasons. For one, it’s cheaper in Canada to go with a single stick vs dual, and for two, upgrading to 16GB of RAM might be something to consider in the near future. 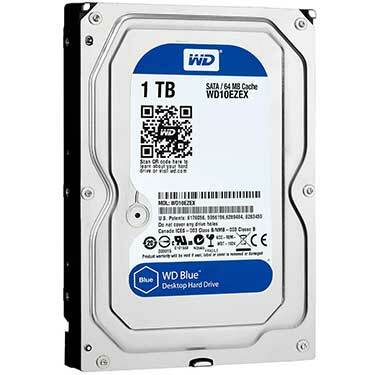 As far as storage goes, you’ll be good to go with a 1TB HDD. But, if you had some extra scratch kicking around, then you might want to consider investing in a small (120GB) SSD to use as a boot drive. 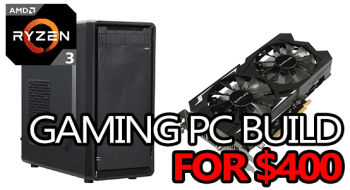 All-in-all, this is about as cheap as you’re going to get when it comes to a worthwhile gaming PC build for Canadians. With the choices made in this build, you’re getting something that’s already pretty powerful, but can be upgraded and made insanely powerful. 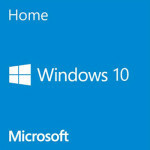 A lot of people think that Windows is their only option when it comes to an operating system, in a sense they’re right. There are Linux-based option like Ubuntu that are completely free to use – but they’re far less compatible with a good amount of programs. Linux is definitely gaining traction, and more game devs are porting their games to it, but it’s still a gamble if there’s a specific game you wanted to play. Windows is usually going to be your best bet when it comes down to actually having full access to every game out there. 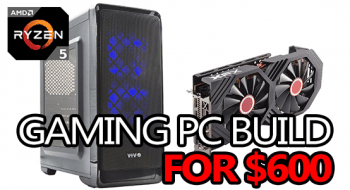 Yeah, it’s a little pricey when it comes down to it, but it’s ultimately worth the cost if you don’t have to fight compatibility issues and the like. When it comes down to picking a version, you’re going to be best off by just going to Windows 10. Personally, I used to really not like Windows 10, when it first released, but I switched over to it in early 2016 and I’ve really been liking the new improvements MS made. 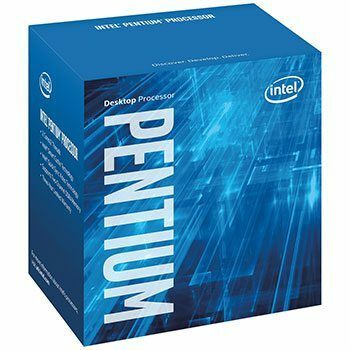 If you’re looking to upgrade your keyboard, mouse, monitor or audio, then I’ve put together some suggestions that would be great for this level of PC build. 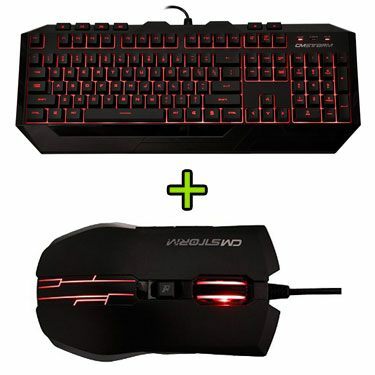 An awesome kb+m combo for around $40 from Cooler Master! 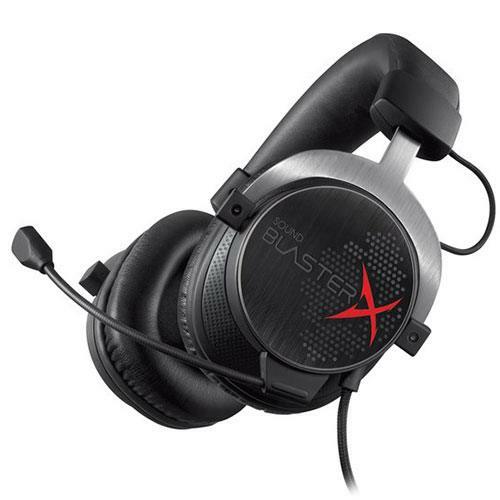 Amazing sound quality, great mic and extremely comfortable. You can’t go wrong with the H5. 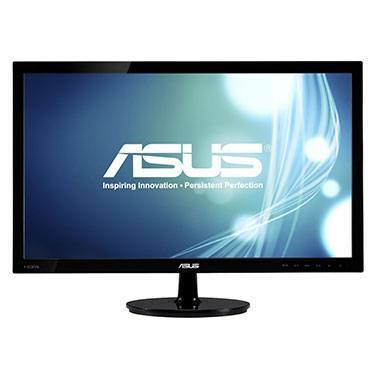 23-inch gaming monitor from ASUS! 2ms report rate, 50,000,000:1 contrast ratio. 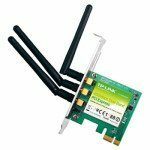 If you have to run a wireless connection for whatever reason, then you’re also going to need a WiFi adapter. There are a couple of options. Either you go with an internally mounted card (if you have an extra PCI port) or you could grab a USB-based adapter. The internally mounted options are usually going to offer a higher speed compared to something USB-based, but the USB options are definitely more convenient. 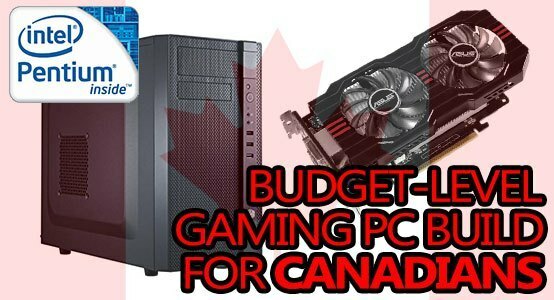 If you came here looking for a Canadian-oriented budget gaming PC build that’s actually in Canadian dollars, you found it. 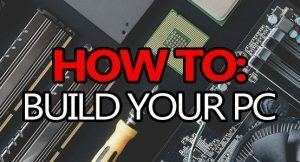 Although it’s really difficult to put together a worthwhile build in Canada without completely obliterating your bank account, this one should help keep the collateral wallet-damage down to a minimum. 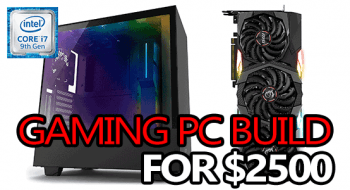 If you have any questions about this badass budget build, feel free to ask me in the comment section below, and get ready for more Canadian gaming PC builds, because you guys are one of my biggest sources of traffic! Hey, I knwo this is an old build and I probably won’t get a reply, but will this build run the game Ark: Survival Evolved on decent graphics settings? Considering the age of this build, I wouldn’t really recommend using it in 2017. I can’t imagine it’ll run Ark very well, partly because Ark is terribly unoptimized and doesn’t run great at the best of times. 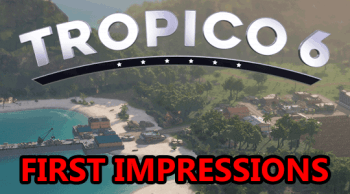 It’ll put out roughly 60fps on medium settings in 1080p.